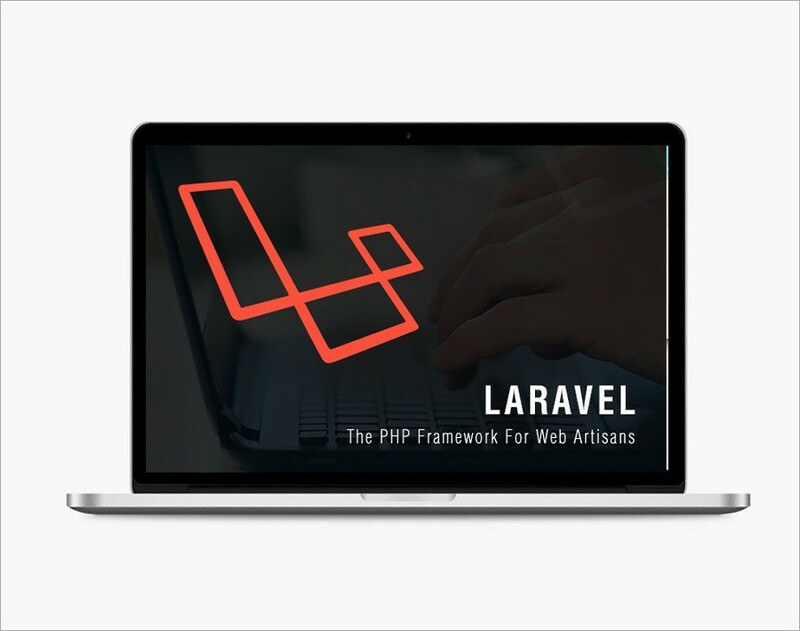 Laravel is a free and open-source PHP web framework, created by Taylor Otwell. It is mainly intended for the development of web applications using the model–view–controller (MVC) architectural pattern with bundles, migration and Artisan CLI. It offers a robust set of tools and an application architecture to incorporate the best features of frameworks like Code Igniter, Yii, ASP.NET MVC, Ruby on Rails, Sinatra, and others. Being an open source framework, it has a very rich set of features which will boost the speed of Web Development. Being familiar with Core PHP and Advanced PHP, is a head start when learning Laravel PHP. It will save a lot of time when developing a website from scratch. Moreover, the website built in Laravel is also secure. It prevents the various security attacks that can take place on websites. Features Laravel offers a variety of key features that enhance its usability: • Modularity • Testability • Routing • Configuration management • Query builder and ORM (Object Relational Mapper) • Schema builder, migrations, and seeding • Template engine • E-mailing • Authentication • Redis • Queues • Event and command bus Why use Laravel? 1. Building an Authentication and Authorization Systems It is easy to implement authentication on Laravel, as it provides a simple way to organize authorization logic and control access to resources and prevent unauthorized users from gaining access to secured/paid resources. 2. Integration with Mail Services Laravel provides a clean, simple API to send notifications to users’ emails after various events. Laravel also provides drivers for SMTP, Mailgun, Mandrill, SparkPost, Amazon SES, PHP’s mail function, and sendmail. It allows an application to send mails through a local or cloud based service. 3. Integration with Tools for Making Web Applications Faster Laravel supports popular cache backend to improve application performance and enable faster development. 4. Fixing the Most Common Technical Vulnerabilities Laravel helps to secure the web application by protection against severe risks like SQL injection, cross-site request forgery, and cross-site scripting. 5. Configuration Error and Exception Handling Laravel is integrated with the Monolog logging library and is configured for error and exception handling by default, which provides support for a variety of powerful log handlers. 6. Automation Testing Work Laravel is built considering testing with PHPUnit. The framework deals with convenient helper methods allowing for expressive testing of the applications. It provides easy ways for simulating basic behavior of users like making requests to the application and examining the outputs. 7. URL Routing Configuration Laravel routes accept a URI and a Closure, which enables the user to view their desired web page in a simple and efficient manner. 8. Separation “Business Logic Code” from “Presentation Code” Laravel is a MVC framework, so changing the appearance of a webpage easily without interacting with Developers and faster fixation of possible bugs and features. 9. Message Queue System (Delayed Delivery) Configuration It provides an efficient system to deal with traffic on a webpage. Laravel queue service provides a unified API across a variety of different queue backend to defer the processing of a time consuming task, such as sending an e-mail, until a later time, which drastically speeds up web requests to your application. 10. Scheduling Tasks Configuration and Management Laravel command scheduler takes into account the familiar and expressive characterizing of command schedule. MVC Architecture for code organization. Laravel follows the MVC (Model View Control) design, ensuring clarity of logic and presentation. This architecture plays a major role in the enhancement of performance, more clear and precise documentation, and several built-in functions to provide a wide number of functionalities. Built-In tools Laravel comes with several built-in resources that enhance and streamlines all the popular tasks. Essential functions like verification, routing, and caching and may more are built into the framework. Modular Laravel framework is designed on more than 20 different libraries and is itself split into individual segments. It takes into consideration the modern PHP principles, which enable the developers to create modular, responsive and useful web applications. Unit-Testing Programmers also like Laravel due to the way it facilitates Unit testing. It operates thousands of tests to make sure that new updates done by developers don’t unexpectedly break anything in the application. Laravel is generally considered to have some of the very constant releases in the industry as it is careful of the known failures. It makes it easier to write test cases for a self-developed code. Advantages of Laravel Framework: • Fast and secure development possibilities. • Provide well-organized, reusable and maintainable code. • Products and packages for application support • The practicality of the application structure • Enhance the use of more advanced and modern web development practices like MVC and object-oriented programming tools. Laravel PHP taking over the PHP community Laravel is the future of web development. It is a framework for people who are not developers as it is simple to learn and easier to code. It is also one of the fastest growing frameworks which are open source. Laravel the newest PHP framework has an incredible potential to reign over the market in coming years as it is made on strong and mature web patterns and accompanies a range of attractive features that enhance web development for developers.